It’s that time of the year when we tend to reflect about what has and hasn’t occurred in the past 12 months. A time to consider what you’ve done; what worked, what didn’t. And what you haven’t done. And what you probably should have. One of those things is probably more relational fundraising. 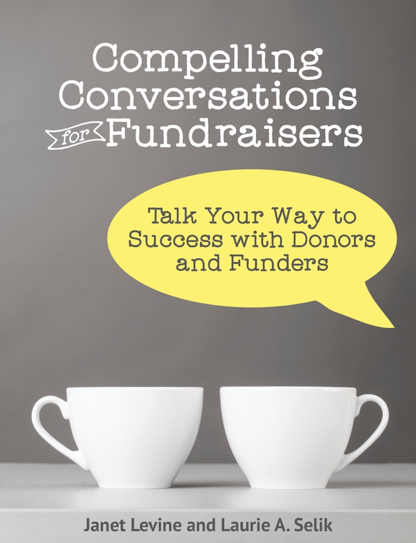 I am constantly amazed at how much time nonprofits spend on transactional fundraising. And, truthfully, the further away from your donor you are, the easier it is for the donor to say no or to say yes to a very small gift. Get closer, you’ll be more successful. I know a lot of development directors who have been in the field for over 20 years, and have never, ever done a face to face ask. Or had a cultivation meeting. Or made a call to find out how things were and, by the way, let me tell you how much your support means. That’s stewardship and it is so much more than a thank you letter—no matter how nicely handwritten. I am also amazed at how much effort goes into defining the “right” message for telling people what you need. Of course, the right message is not what you need (or how you do what you do), but rather in finding out what your donor needs and how you can connect that to your organization’s mission. And yet, too many development directors spend all their time sitting at their desk, noodling over brochures that don’t raise money and events that raise something but nothing near the amount of time spent on them would make for a good ROI. Or writing a grant for something they don’t exactly do but maybe they can tie themselves in knots to fit. All that for $5,000. OK, I apologize for being grouchy. But honestly, people, it is so much more effective to meet in person—face-to-face, whether an individual meeting or in small groups—and hear what it is that you do that they care about. And to work with your prospects and donors on crafting gifts that meet your needs and theirs. So as you are reviewing last year and making plans and resolutions for next, try this one on for size: Next year, I will have at least three face-to-face meetings with prospects and donors a week. These meetings will be focused on learning about them, helping the to make the gift that will matter to them (and to us! ), and to talking with them about how much their support has meant in the past and will mean in the future. Janet Levine Consulting helps nonprofits move from mired to inspired. Contact Janet for a free, 30-minute (phone or zoom) consultation and find out how Janet can help you. And do visit our website, sign up for our newsletter and tell your friends about this blog. This entry was posted in fundraising and tagged face-to-face, getting more gifts, relational fundraising. Bookmark the permalink.